Donations will help support the Fresh Sound music series. All donations are tax deductible and will go towards artists fees and transportation costs. Australian percussionist Vanessa Tomlinson is active in the fields of solo percussion, contemporary chamber music, improvisation, installation and composition. She has performed at festivals around the world such as Wien Modern, London Jazz Festival, Green Umbrella Series LA, Bang-on-a-Can Marathon NY, The Adelaide Festival of Arts, and Shanghai Festival. She is the recipient of 2 Green Room Awards, the 2011 APRA/AMC Award for Excellence by an organization or individual, and has been awarded artist residencies through Asialink (University of Melbourne), Civitella Ranieri (NY/Italy), Banff (Canada) and Bundanon (NSW). A founding member of California percussion group red fish blue fish, she currently performs with Clocked Out, Early Warning System, and The Australian Art Orchestra. Her recordings can be heard on Mode Records, Tzadik, ABC Classics, Etcetera, Clocked Out and Innova. Vanessa received her Masters and Doctorate from the University of California, San Diego where she worked closely with Steven Schick and George Lewis. She is currently Associate Professor in Music at Queensland Conservatorium, Griffith University. Eclectic composer-pianist Erik Griswold fuses experimental, jazz and world music traditions to create works of striking originality. Specializing in prepared piano, percussion and toy instruments, he has created a musical universe all his own that is "sincere" (neural.it), "playful" (igloo magazine), "colourful and refreshingly unpretentious" (Paris Transatlantic). Since the late 1980s he has composed solo and chamber works for adventurous performers in the U.S. and Australia, such as Margaret Leng Tan, Steven Schick, Either/Or Ensemble, Early Warning System, red fish blue fish, and Speak Percussion. In 2013, new works include Fairweather - a multi-media collaboration with writer Rodney Hall and artist Glen Henderson, Love to love your strings, baby – a celebration of disco strings, and Action Music – a new work for Ensemble Offspring and Clocked Out. 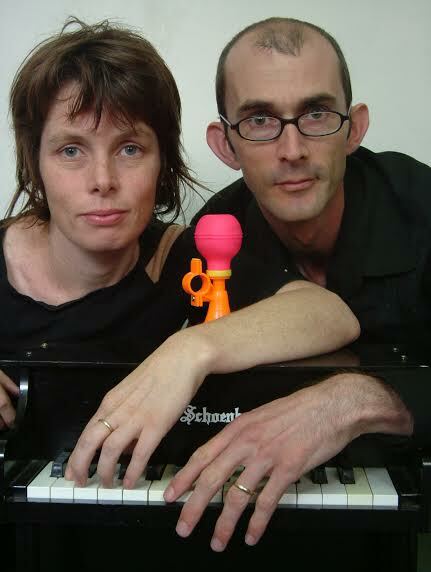 A current recipient of the Australia Council for the Arts Music Fellowship, Griswold performs with Clocked Out Duo, The Wild, Peter Knight’s Fish Boast of Fishing. His work can be heard on Mode Records, Room:40, Listen/Hear Collective, Einstein Records, Accretions/Circumvention, Move, Clocked Out, and Innova. He is currently adjunct professor at Queensland Conservatorium, Griffith University, and holds a Ph.D. in composition from University of California, San Diego.